This week’s news combines the news from weeks 12 and 13. 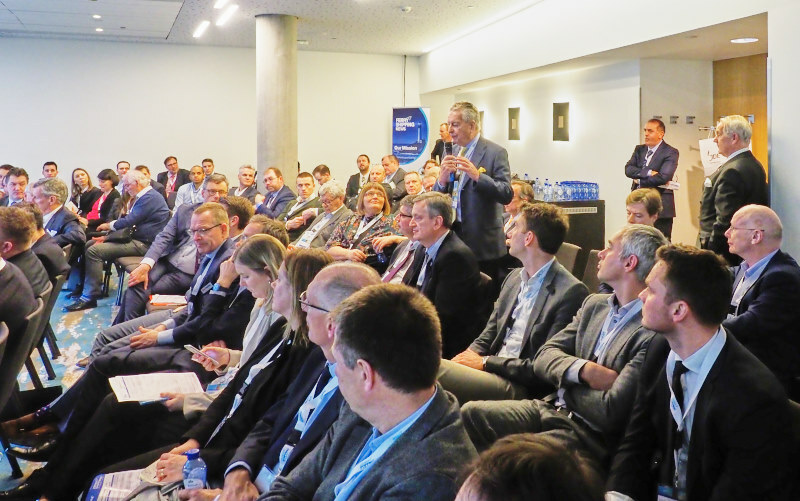 The reason is of course the fact that we had our first Ferry Shipping Summit last week. What a pleasure it was to seeing so many of you in Amsterdam. 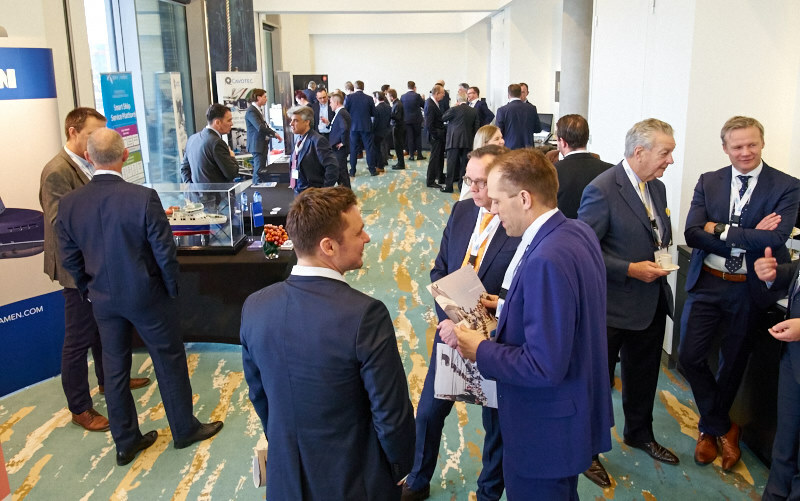 Especially the interactive debates during the sessions, the networking and the socializing were very enriching. Last week Friday I’ve sent a mail shot with pictures and quotes. Here are some more photos, giving a glimpse of the atmosphere. Victor Velton, President Versonix Corporation, giving his presentation about Versonix Seaware, the ultimate reservation system. This conference was characterized by a high degree of interactivity between speakers and delegates. Coffee breaks and lunches, the perfect moments to do business. A wide variety of subjects made this summit truly interesting. Fincantieri noted record-high revenues exceeding EUR 5 billion, which is +13%. In a positive market, the yard group has a healthy order intake at EUR 8.6 billion (+31%). 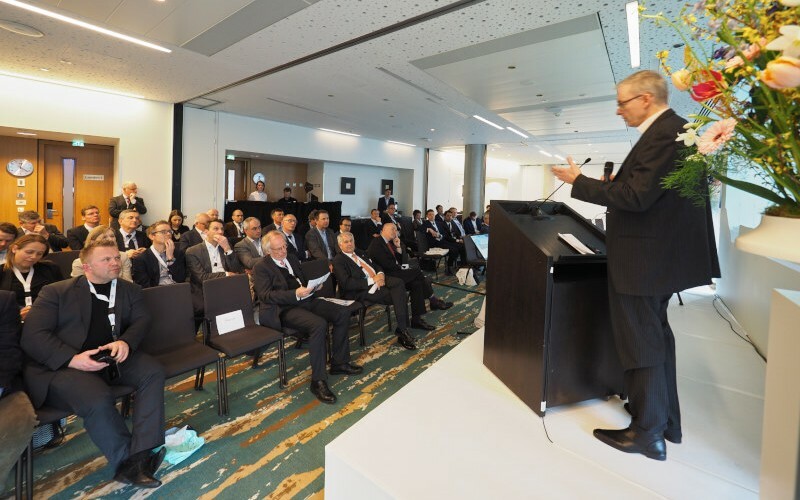 The important order for new client Norwegian Cruise Line and the order for two new MSC Seaside class ships highlight the ability to attract new clients and retain existing ones. With the new business plan, in 2022 the revenues will increase by up to approximately 50% (at current perimeter) and the EBITDA by up to approximately 100% versus 2017. Baleària can be very satisfied with last year’s results (fiscal year running from 1 November 2016 to 31 October 2017). The company has growth plans for international routes, both on North Africa and the Caribbean. Last year it opened Almeria – Nador ( Morocco). The contract for the building of an LNG ferry at La Naval has been cancelled, due to the problems at the yard. Denmark’s largest ferry company Færgen achieved its best annual result ever in 2017. More travellers interested in the Danish islands. Successful promotions for trips with Faergen to the Danish islands. Increased volumes on the routes to Bornholm, Samsø, Fanø, Als, Funen, Langeland and Lolland. 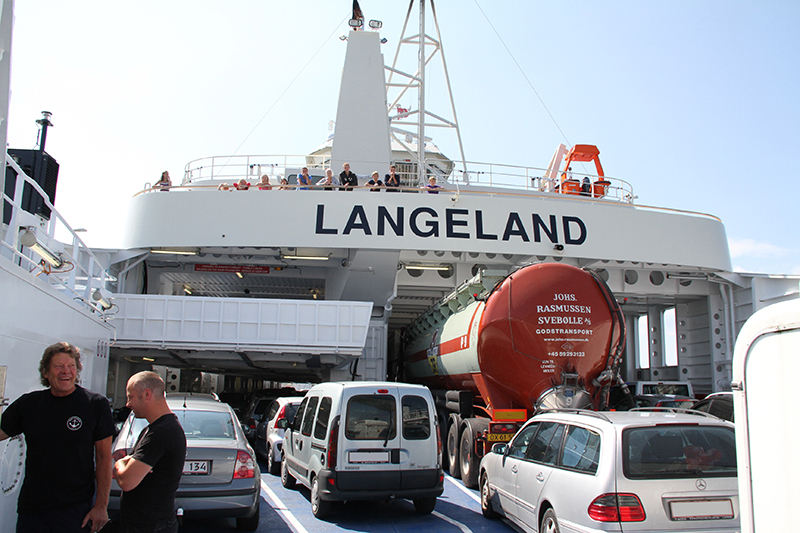 The ferries on the routes Ystad-Rønne, Kalundborg-Samsø and Esbjerg-Fanø even achieved the highest traffic figures since the existence of the routes. Growth in all other business areas: pedestrian tickets, car tickets and the sale of truck and bus tickets. On 1 September 2018 Faergen is going to hand over the concession for the Bornholm route to Bornholmslinjen, who was able to win the public tender. As a result, Faergen will relocate its headquarters from Rønne, Bornholm to Svendborg on the Danish island of Funen. Ab Eckerö reached almost the same levels as in last year, which was a record year. Operating profit was a strong €15.6 million (€19.0 million in 2016, which included €3.3 million from the sale of an asset). Challenges: the weakening of the Swedish krona and higher bunker prices. 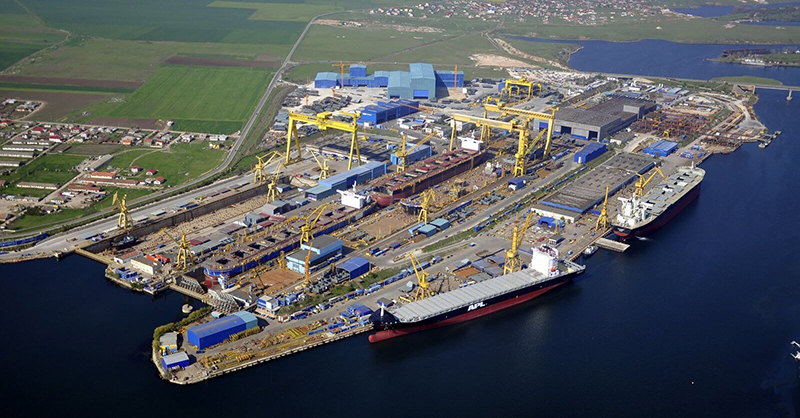 Negotiations between Damen Shipyards Group and the Romanian Government on the Mangalia shipyard were completed on March 21. 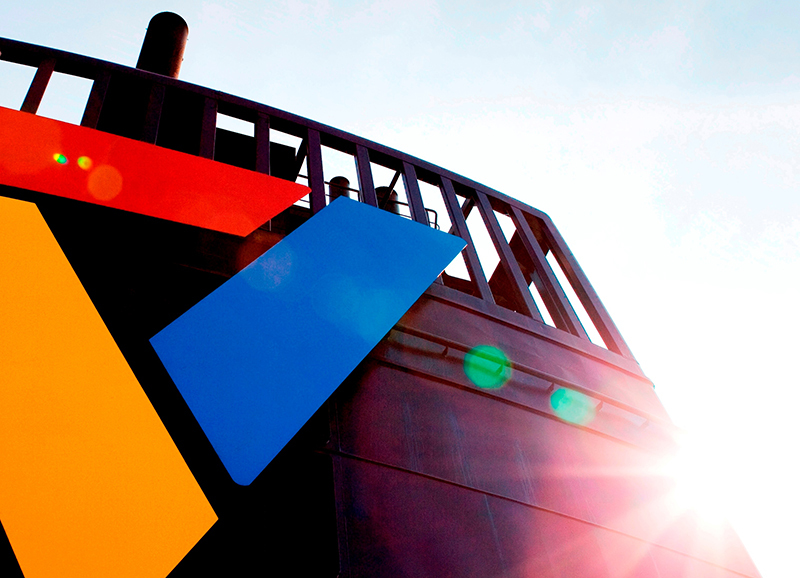 Currently Daewoo Shipbuilding & Marine Engineering (DSME) owns 51% of the shares in the yard. On November 10, 2017, Damen signed a share purchase agreement for the acquisition of DSME’s shareholding in DMHI, subject to the Romanian Government’s pre-emption right. Following productive and conclusive negotiations on long-term strategic partnership with senior officials of the Romanian Government, the waiver of the pre-emption right is expected to be made public by the end of March. Subsequently, the successful completion of the transaction is expected shortly thereafter. Talking about a good deal: 3i announced net proceeds of €347 million from selling a part of Scandlines, but remains one of the co-owners. 3i Group plc announced that 3i and funds managed by 3i (together Eurofund V) have sold their investment in Scandlines for a total equity value of €1.7 billion in a transaction with funds managed by First State Investments (“First State”) and Hermes Investment Management, two long-term infrastructure investors representing predominantly European pension funds. 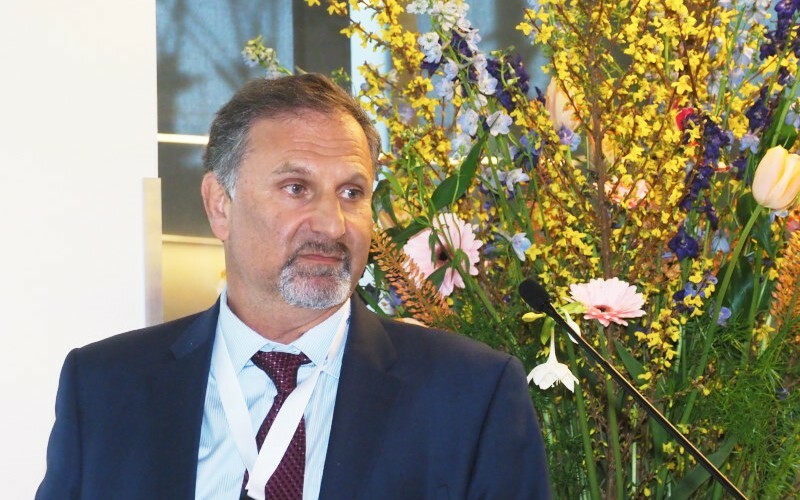 The new consortium formed by First State, Hermes Investment Management and 3i intend to support the further growth of Scandlines, including additional investment in green technology. Hurtigruten AS is owned by Silk Bidco AS, whose main shareholder is the London-based investment company TDR Capital. The Norwegian contract for the operation of the Bergen – Kirkeness coastal service has been announced. Hurtigruten will have to share it with Havila. Eleven ships are needed for the eleven-day Bergen – Kirkeness – Bergen service. Hurtigruten will get 4+3 slots, and Havila 4. No longer having a monopoly could be a good thing. 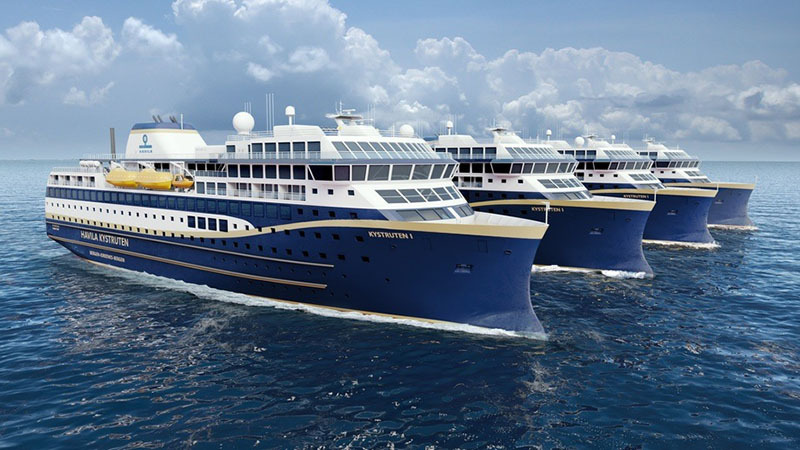 For Hurtigruten it means they will be able to sail four ships in a more cruise-like concept. They will be able to drop the uninteresting ports of call, which they had to call at by virtue of their contract. It will allow for more and better excursions. It is a logic continuation of what Hurtigruten already started to change the last couple of years, with more focus on destination-driven activities and excursions. For the customer the competition will probably mean lower prices. For the environment it will be beneficial too, due to stricter requirements, with a 25% reduction in CO2 emissions. Therefore Hurtigruten will have to adapt some of the older ships. Shipowner Per Sævik (Havila Holding AS) will now have to order four newbuildings for the subsidiary Havila Kystruten AS. The new configuration starts on 1 January 2021. Export orders continue to advance Wight Shipyard Co’s reputation as a fast ferry builder with a multiple vessel contract from Mexico’s largest ferry operator. Until now Ultramar has built all its high speed ferries in the United States and the order for two 37m ferries, is more positive news for the Isle of Wight shipyard following a highly successful 2017.